Graffiti and tagging happen. Best for communities to get rid of this territorial eye-sore as quickly as possible. 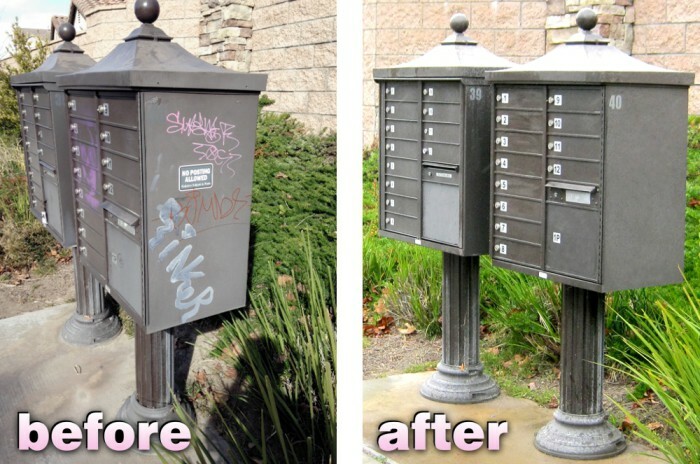 Unfortunately, many graffiti removal and restoration efforts can damage surfaces leaving them looking as bad, or worse, than before the work began. It’s important to identify the surface type and substance to be removed, select the appropriate removal method and apply a protective coating to ensure successful removal and protect surfaces from further graffiti. Except for paint, most anti-graffiti removers are not available at local home improvement, hardware or paint stores. They are specialty industrial products that sold to professional graffiti removal companies. Call the pros. Contact Bill or Dave today to make your community eye-sores go away.